With the launch of a new programme soon, ‘Being Our Best’, Girlguiding IW leaders have been topping up their skills by undertaking trainings on the new topics. 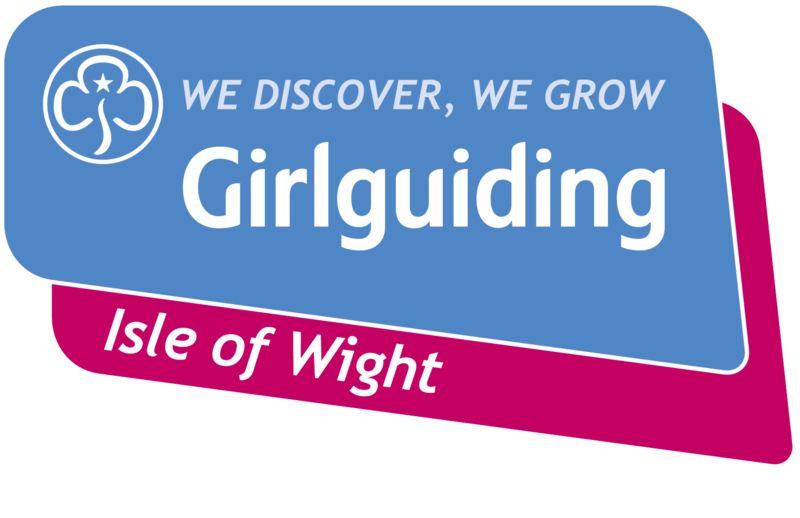 Launching soon this new programme will enhance the activities that Girlguiding has on offer with a number of fun ideas increasingly based on the outdoors. 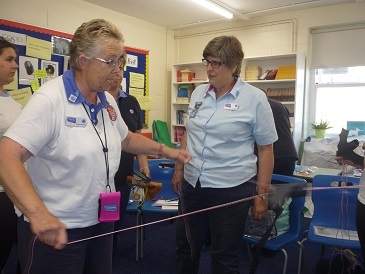 Leading the Training were Liz Seery and Judith John two Trainee Trainers from the Girlguiding South West England Region Trainers’ team. 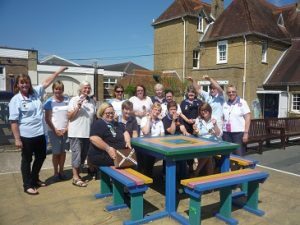 Participants came from across the four Sections, Rainbows, Brownies, Guides and Senior Section who run units on the Island. 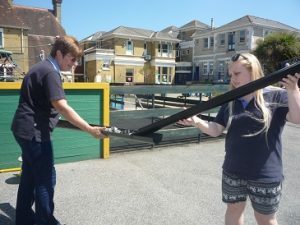 All the leaders had fun with the programme, although based on Science, Technology, Engineering and Maths (STEM) it showed how these topics can be experienced by experimenting with everyday basic equipment. Answering the question,’ How can a balloon travel at high speed along a wire?’ and ‘What makes a bat fly’? 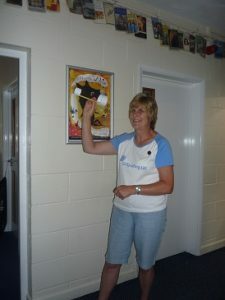 became easy after some thought and experience. 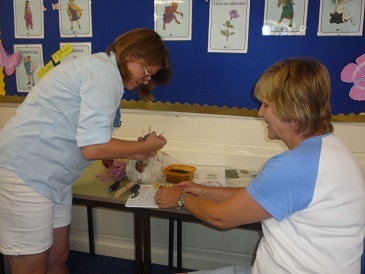 Code breaking was also undertaken as was learning about wild life and caring for the natural environment. 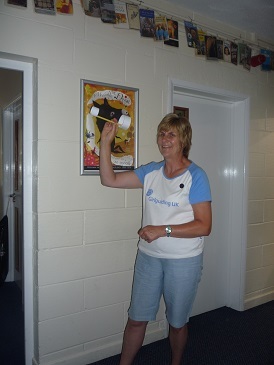 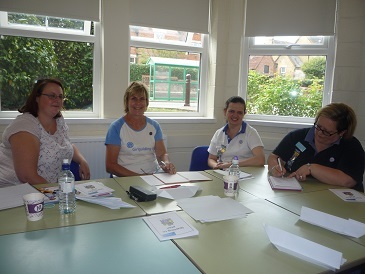 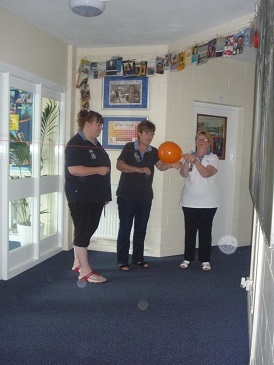 This day was organised by Deborah Meadows Learning & Development Advisor Girlguiding IW and was held at Ryde School. 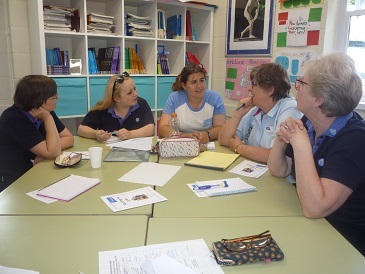 Girlguiding leaders nationally will soon be undertaking similar Trainings on the new Programme based on Being Our Best (BOB) a programme based on a plan for 2020 which is a commitment from everyone in Girlguiding to get even better at all that they do. 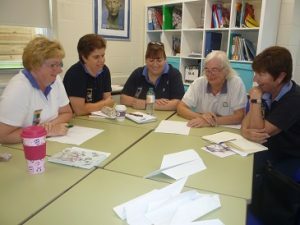 Drawn from wide consultation with members, this plan will let members be their best for all girls and young women in Guiding – now and in the future. Innovative work is being undertaken to achieve the plan- A Plan to see an equal world where girls can make a positive difference, be happy, safe and fulfil their potential.